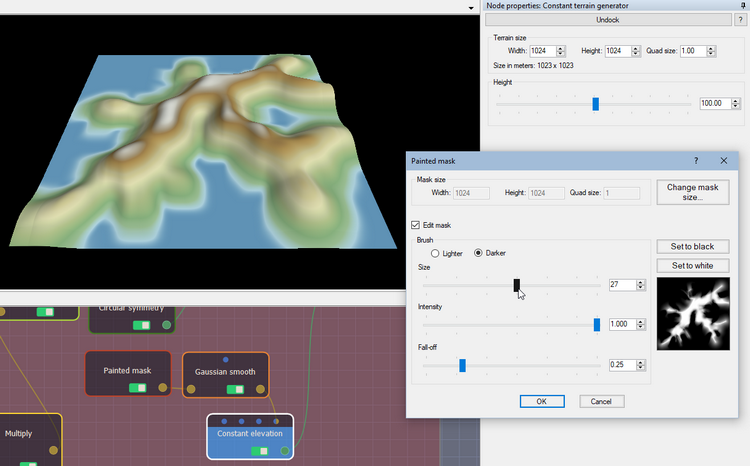 With this node, you can paint mask directly in the 3D View and immediately see the results on the terrain. The Painted mask acts like all other masks, but you can edit it in real time as often as you want. 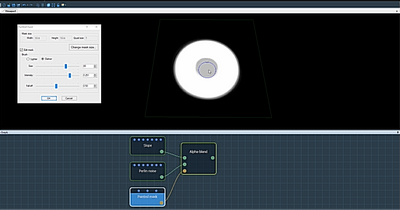 To add a Painted mask node, right click in the Graph Editor and select Create Node > Mask Generation > Painted mask. Mask size: The mask size is defined by the input mask. To change it, click Change Mask size. 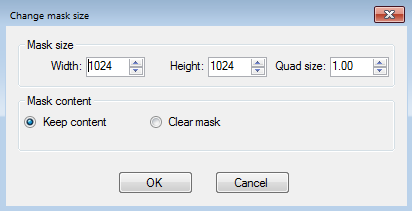 In the dialog, edit the Width, Height, and Quad size of the mask. Clear mask to reset the mask to the default parameters when you change the size. Keep content to preserve the mask content when you change the size. Use the Size slider to set the size of the brush depending on the level of detail that your mask needs. Use the Intensity slider to set the intensity of the color of the brush. Watch our Painted mask node video tutorial and see how the node works in a complex project. 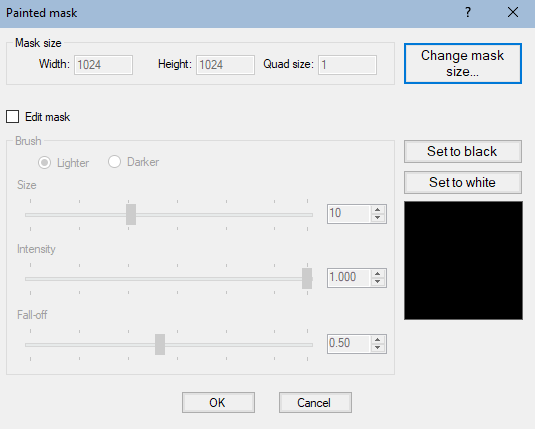 Change mask size Changes the mask size and keeps the current mask or clears it. Set to black Clears the mask and fill it with zeroes. Set to white Clears the mask and fill it with ones.